By staff writer Vicki Lathom. Photos Copyright © Vicki Lathom except where indicated. The Great Dismal Swamp, in the North Carolina and Virginia section of the Atlantic Intracoastal Waterway, sounds like a depressing place. Think dark, craggy trees draped with moss, stagnant water and strange noises coming from within. However, to my surprise, this swamp is not dismal. Somewhat mysterious, perhaps, since swamps tend to be that way—but as we brought our boat through recently I saw butterflies fluttering about and rows of shiny, black turtles sunbathing on logs. Clumps of lettuce-like vegetation drifted in patches like new islands along the shore, an all-natural version of a Disneyland safari trip. The ICW, also known as “The Ditch,” is the inside route for cruisers to go north and south along the east coast without going out into the ocean. It’s the oldest man-made canal in the United States. 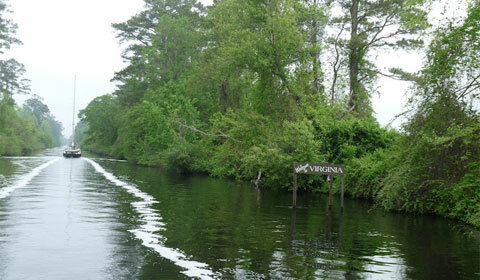 About 22 miles of its length goes through the Great Dismal Swamp. Bordered by cypress trees with their weird, almost science fiction looking roots, the 100,000 acre swamp is gently alive. A blue heron stops our conversation, soaring along the tops of the trees and across the waterway. A few miles later, an eagle does the same or a goose flutters up from the water to get out of our boat’s way. The average depth of the swamp is only six feet and the water is the color of coffee from the tannic acid of the tree bark. Despite its strange color, the water is pollution-free and bacteria-free. In early times, the water from the swamp was a highly-prized commodity on sailing ships where it was put in kegs and would stay fresh a long time. 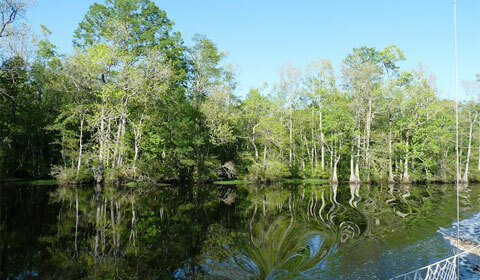 The Dismal Swamp section of the ICW was part of a business venture started by people like George Washington. Taking 12 years to hand-dig, the Dismal Swamp Company’s canal was a critical commercial waterway between Virginia and North Carolina. It’s said that investors believed the swamp was to be a Land of Eden, but probably the workers who dug the waterway in sometimes terrible conditions contributed more to its sad name. Mostly vegetation and nature-oriented, the canal has a surprise around one bend in the sudden appearance of the Old Superintendent’s House standing sentry on the canal. 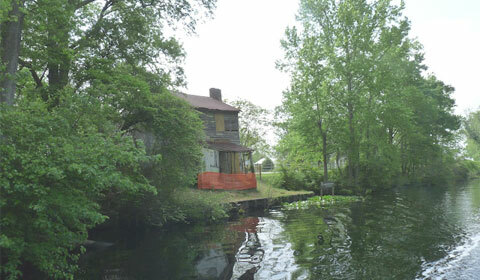 The old Superintendent’s House is the only structure left from the era of the Dismal Swamp Canal Company. Located midway on the canal, the house served as the office of the toll gatherer for commercial and recreational water traffic. 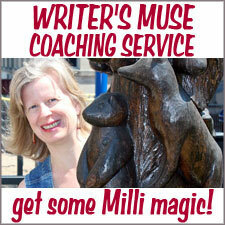 At one time the house also stored the mules who towed the barges. During its time “the shack” (as it is called today) was occupied by Union soldiers and also used as a post office. When its commercial use subsided in the 1920s, the swamp and its canal were taken over by the Army Corps of Engineers, which maintains it as a wildlife refuge and park. In more recent times, the Swamp has made headlines because it is paradoxically plagued by fires, the most recent during the summer of 2011. Started by lightning, the peat moss under the cypress trees burned over 2,500 acres in the high temperatures, wind and low humidity. Swamp fires are difficult to put out and can smolder for months. 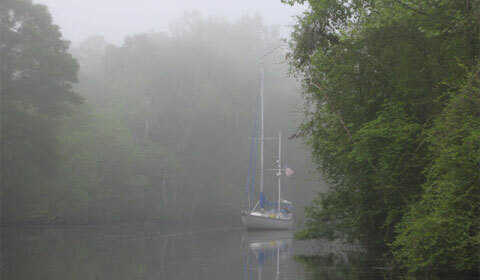 Looking back at our trip up the ICW, I would have to say the Dismal Swamp is not so dismal. In fact, it is a timeless thing of beauty and tranquility, a place that thrives well beyond the business ventures, park services and recreational amenities. What a magical place you found Vicky, and I especially love the Old Superintendent’s house guarding the waters edge. The reflections of the cypress trees in the Pasquotank river are truly otherworldly. A bit like the funhouse mirrors we used to see that distorted whatever was reflected in them. 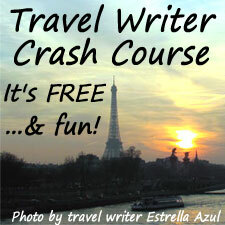 I have driven through the GDS on a trip through the South, and it seemed pretty dismal to me. Your photos have completely changed my mind.